JIBO? World’s First Family Robot? Even Rocky Balboa had one in the 80’s! It is kinda striking but do you remember when Rocky at the 3rd sequel of the famous movie had a robot assistant which fell in love with Paulie? JIBO is something close to that but way as you can expect, it is way more sophisticated and does much more than just bringing you a birthday cake.Don’t remember? Well I got you covered and I provide you with this awesome video below. Is it going to bring me beers from the fridge? It might not bring you the sleepers or give you a backrub (yet). However, there is a high possibility it might do so if you teach it how to do it. I am pretty sure that the team behind the development of the JIBO robot is already actively working on it. JIBO Family Robot is a robot based on Linux open operating system which is capable of continuously learning new skills. You install couple of applications and you instantly have some new tricks from this smart fellow. Are you gonna tell me what it does already? JIBO is able to recognize human faces and voices as well as react with them, learn new things, take pictures, tell stories to your kids (yes, I know you are the best dad in the world and you do it already yourself) and inform you about incoming messages, phone calls and upcoming appointments. JIBO is made of aluminium, Plastic ABS and glass. It is equipped with an HD LCD Screen, ARM processor, two high resolution cameras to take photos and enable immerse video calling, WiFi and Bluetooth connectivity and as mentioned earlier, it comes with a Linux OS. Since the operating system of JIBO is based on open source platform, there is a possibility of learning new skills, techniques and applications. It can only become better and better. Dr. Cynthia Breazel, a professor at the MIT MediaLab, designed with her team this pioneering project and in order to go into production, they request your help. The project is available for backing via Indiegogo and the initial release price has been set at just $499 with first copies available in December 2015. That’s a small price to pay considering the fact that this awesome robot will make your daily life simpler and easier. It is totally worth waiting for the official release until next year. 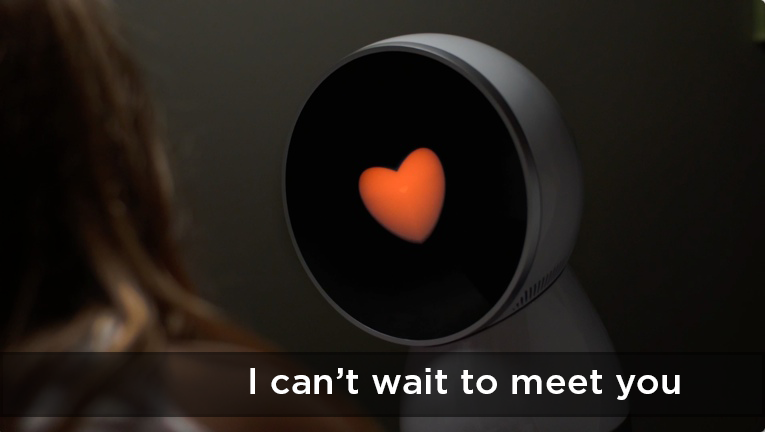 If there are any future applications for JIBO to cook pizza, prepare coffee and bring beers while you are chilling on the couch, there is going to be a legislation in place against marriages with robots. You like technology? How about you have a look at how women can finally pick up their phones? Wanna know how you can lose weight and stay hydrated? Check out the smartest mug which tell you what you are drinking. You like taking pictures? Here is the best way to take panorama photos.